The inside story of the partnership between Steve Bannon and Donald Trump—the key to understanding the rise of the alt-right, the fall of Hillary Clinton, and the hidden forces that drove the greatest upset in American political history. ...a reader of Devil’s Bargain who knew nothing about American politics and didn’t catch Mr. Green’s subtle but thoroughly unsympathetic judgments of his subject might come away thinking Mr. Bannon was the book’s hero: Everyone roots for an irreverent upstart who outrages a self-satisfied establishment and turns the system upside down ... 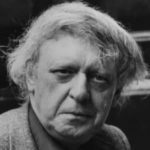 I suspect Mr. Trump was also impressed by Mr. Bannon’s career and accomplishments, engagingly recorded in Devil’s Bargain ... Mr. Green is a talented reporter and a gifted storyteller. The anecdotes he records from the chaotic 2016 Trump campaign are both well chosen (they’re there for thematic reasons, not as gratuitous gossip) and brilliantly told. The spotlight may be on Bannon, but Devil’s Bargain is really about how a bunch of sinister Bannon-esque forces aligned not just to win Trump the presidency, but to ensure that Hillary Clinton lost it ... There are reasons to doubt that Bannon’s role was as central as Green sometimes makes it—Michael Flynn was leading 'lock her up chants' at the Republican National Convention a month before Bannon took over the campaign—but the most salient takeaway from Devil’s Bargain is that Trump didn’t build that. 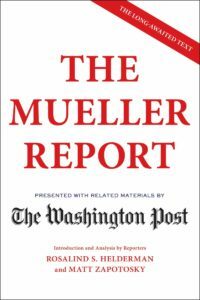 It was fortuitous alliances with dark figures like Bannon and the Mercers, and decades of anti-Clinton work, that ultimately paved the road to victory. ...deeply reported and compulsively readable ... Green is consistently interesting on the subject of Trump. 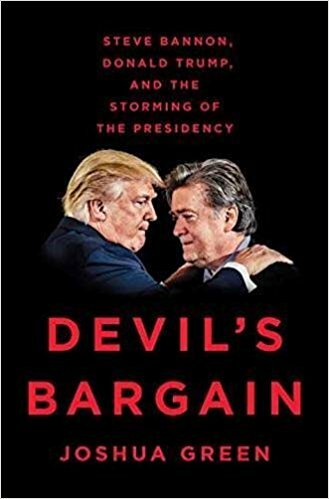 But the real value of Devil’s Bargain is the story it tells about Bannon, some of which has been previously reported (not least by Green himself) but never so well synthesized or explained as it is here. What did you think of Devil's Bargain: Steve Bannon, Donald Trump, and the Storming of the Presidency?